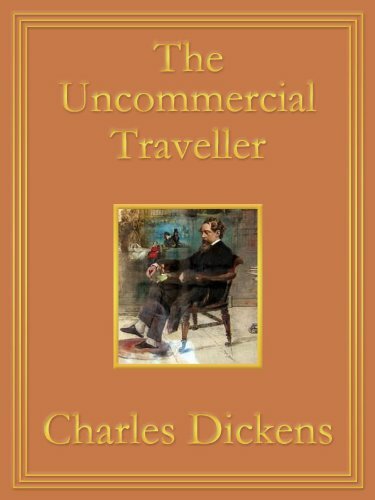 The Uncommercial Traveller is a collection of literary sketches and reminiscences written by Charles Dickens. They display his wit, humour and occasionally his righteous indignation towards the things that he saw and the hidden aspects of Victorian London. One of Dickens' best-loved and oft-quoted stories. Cruel miser Ebeneezer Scrooge hates Christmas most of all. When he is visited by his partner and the ghosts of Christmas, he learns eternal lessons of charity, kindness, and goodwill. Against the backdrop of the French Revolution, Dickens unfolds a masterpiece of drama, adventure, and courage featuring Charles Darnay, a man falsely accused of treason. The novel culminates in a daring prison escape in the shadow of the guillotine. Pip is apprenticed to the dirty work of the forge but dares to dream of becoming a gentleman, and one day he finds himself in possession of great expectations. One of Dickens's finest novels, a gripping tale of crime and guilt, revenge and reward. Dickens's marvelous tale was left unfinished at his death in 1870. The novel has been all the more tantalizing for its lack of an ending to a mystifying puzzle that avid readers have tried to solve. A gem for lovers of mysteries and Dickens fans.